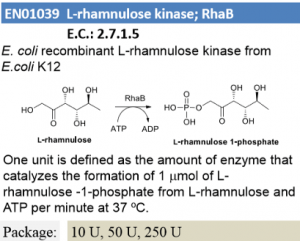 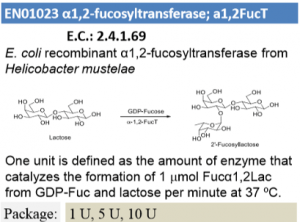 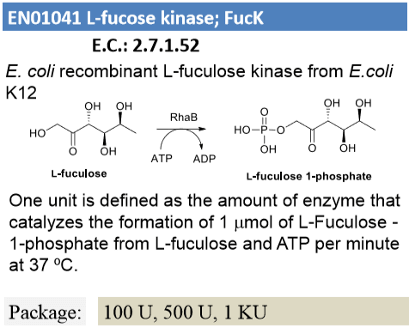 One unit is defined as the amount of enzyme that catalyzes the formation of 1 μmolL-Fuculose-1-phosphate from L-fuculose and ATP per minute at 37 °C. 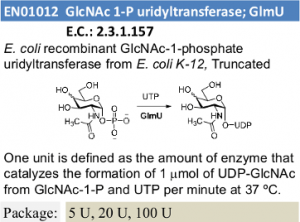 J. Biol. 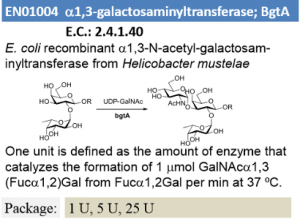 Chem.273 (1998) 5685-91.